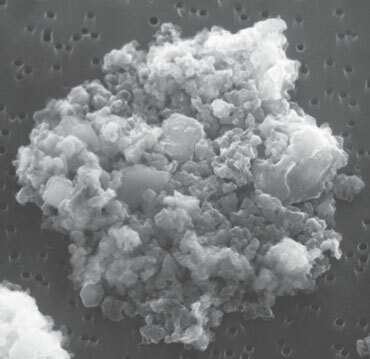 FEELING FLUFFY ‘Oumuamua could have the same porous structure as this interplanetary dust particle, but on a larger scale, researchers say. 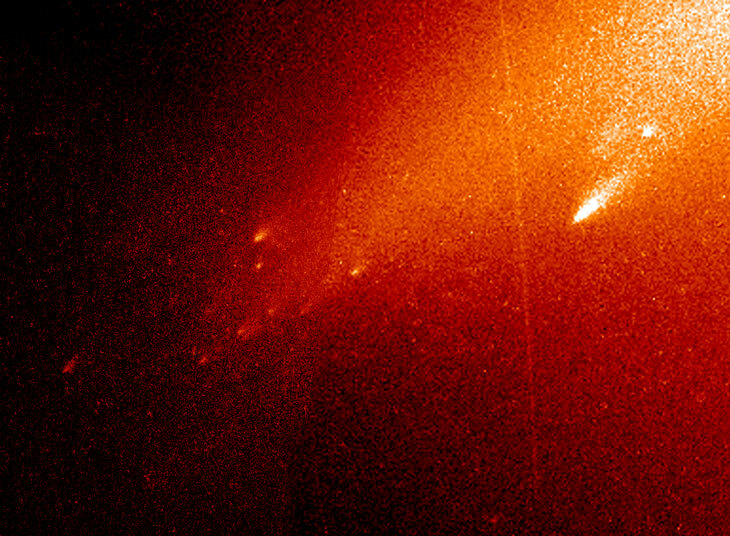 SKY SKELETON Maybe ‘Oumuamua was a comet that was destroyed as it approached the sun, like this image of comet LINEAR shattering into mini-comets in 2000. 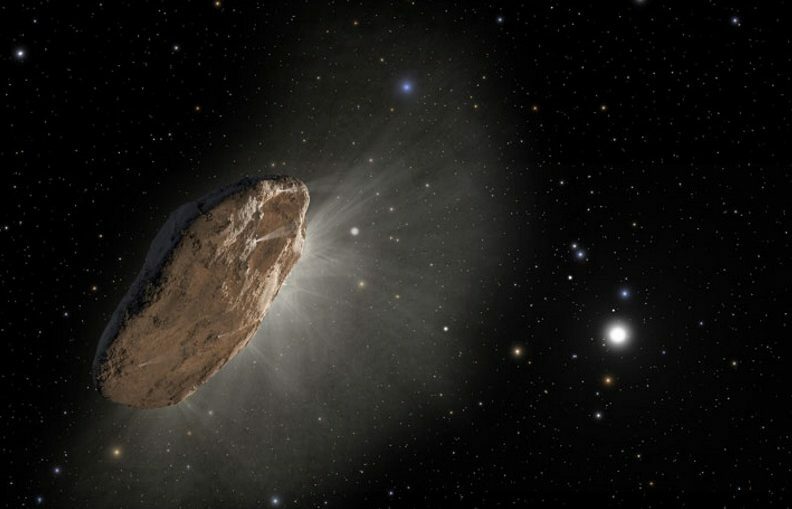 If that’s the case, only the skeleton of the original comet was left by the time astronomers spotted ‘Oumuamua.